1. 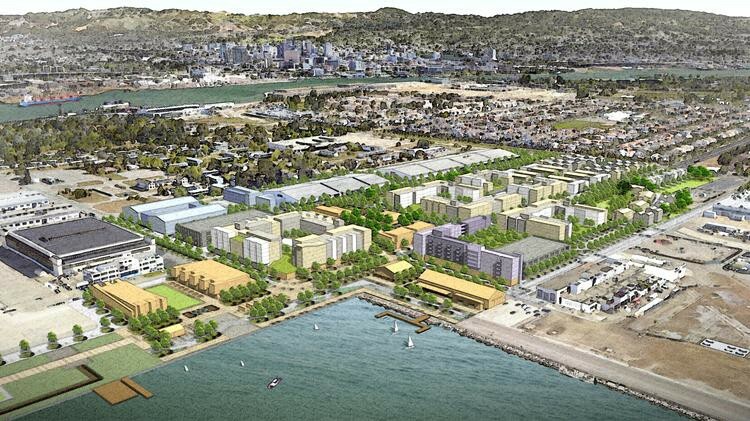 Alameda Point developers plan to finally break ground this month on an 800-unit housing project at the former Naval Air Station, reports Roland Li of the San Francisco Business Times$. The city of Alameda, which has been seeking to develop the land for nearly two decades, began transferring property to developers last week. The project will include 200 units of affordable housing, 600,000 square feet of commercial space, 15 acres of parks, and a new ferry terminal. 2. The white Austin bomber who targeted Black families blew himself up as law enforcement closed in on him this morning, the Associated Press reports. The dead bomber was identified as Mark Conditt, and online postings show that he referred to himself as a conservative and wrote that gay marriage should be illegal. Police official have not yet identified Conditt’s motive for the series of bombings that terrorized the Austin community, although they said earlier this month that they considered the case to be a hate crime. 3. More than 30,000 Santa Barbara area residents were told to evacuate ahead of major rainstorms, fearing a repeat of the deadly mudslides earlier this year, the LA Times$ reports. The large storm is expected to dump 3 to 6 inches of rain on the coast by Friday. In January, a huge storm turned fire-ravaged hillsides into massive mudflows that killed 21 people in Montecito. 4. El Cerrito’s funhouse Playland-Not-at-the-Beach is in danger of closing down because its home on San Pablo Avenue is being torn down and turned into condos, reports Janis Mara for the East Bay Times$. The business, which includes “30 pinball machines, a penny arcade, video games, and magic shows with Fabulous Frank twirling a spray of orange, red, and yellow feathers out of thin air,” needs to find a new space by fall. 5. Alameda’s iconic antique store, Pauline’s Antiques on Park Street, is closing in the next few months, reports Darin Moriki of the East Bay Times$. The 7,000-square-foot store’s proprietor, Pauline Kelley, has decided to retire after 63 years in Alameda and the Bay Area’s antique business community. 6. And Alameda High School’s boy basketball team won the Northern California Division II championship last weekend and is playing for the state championship this Friday.